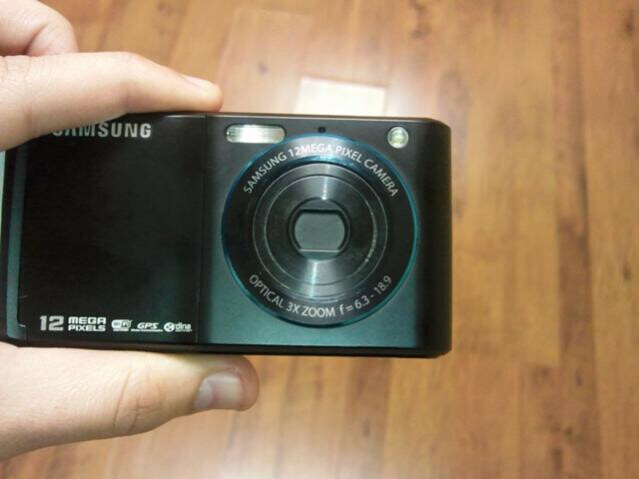 Samsung have recently announced their first 12-megapixel camera phone, the Pixon12. However, interesting images happen to be leaked quite often off the record. This time we have a spy photo that clearly shows the back side of a 12MP Samsung phone. It really does look like the Pixon12, but we need to point out the LED flash has a slightly different position and the labels don´t look quite the same. Another interesting thing is that the text around the camera lens says “OPTICAL 3X ZOOM”. The phone in question seems to feature Wi-Fi and GPS just like the Pixon12. We are not sure if this is the real thing, say, an early Pixon12 prototype or just a mock device. Our guess is as good as anyone´s. WOW Optical Zoom! That would be a first I think. If this is real, this cold be a very powerful camera phone. Its really only a matter of time for a cameraphone that comes out, that can really compete with a Digital Camera.